Once in a while, I have fancy days. I don’t have a reason, there’s no occasion. I just want fancy. Put on a dress, yeah. Perfume, why not? Wear shoes around the house – woah there, major fancy. English accent alert- it’s useful for these days. No, I’m not drinking my diet coke out of the can, I’m pouring it into this glass, yeah. Coffee? I’d rather have a cappuccino. I’ll re-paint my chipped nail varnish; what colour, turquoise? No, to0 garish for today, sparkly peach? YES. Then comes the food part of the day. I want a snack, actually…..a pre-lunch appetizer. 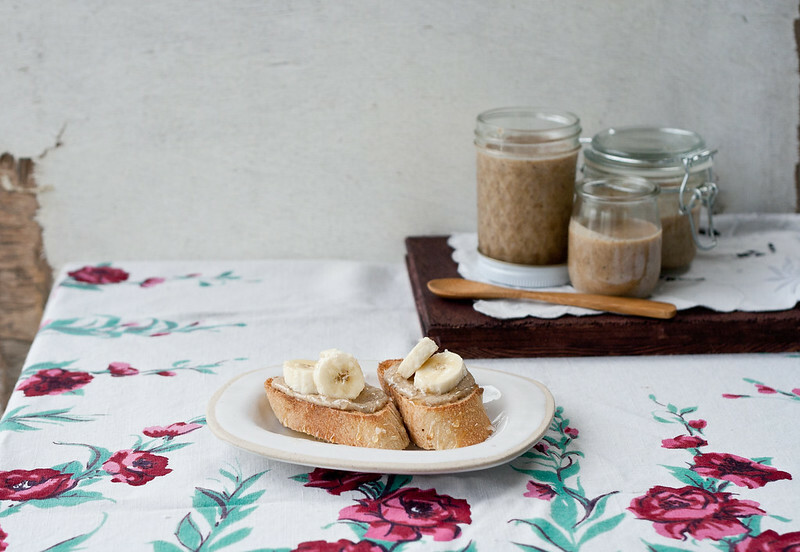 Banana, honey and peanut butter on toast…. Ha, who do you think I am? I am much more refined. 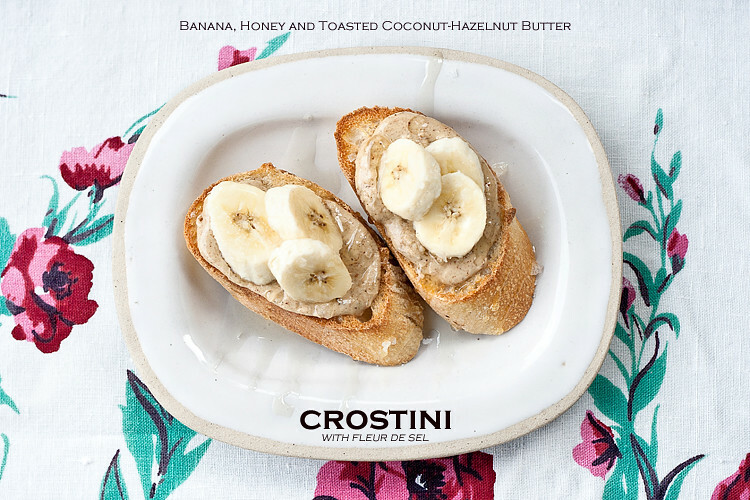 It’s more like banana, honey and toasted coconut-hazelnut butter crostini, oh and don’t forget the sprinkle of fleur de sel. Please say you’ll join me? ‘The Fancy Day’ will be the best day of the week. 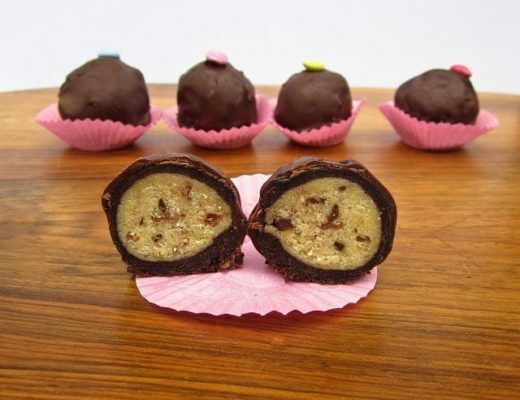 I think you know by now that I’m strange in my ways, but seriously, if you’re up for a fancy day, having a brunch or party, or you’re just fancy anyway (RESPECT), then make these and you’ll boost the sophistication and deliciousness of the event by 100%. I swear, in fact I (checks thesaurus) certify it. p.s. check out the make-ahead tips and the lower calorie/quicker/gluten free and vegan variations too! Preheat the grill in your oven to the hottest temperature. Cut the french bread with a sharp knife at an angle into 1″ thick slices. 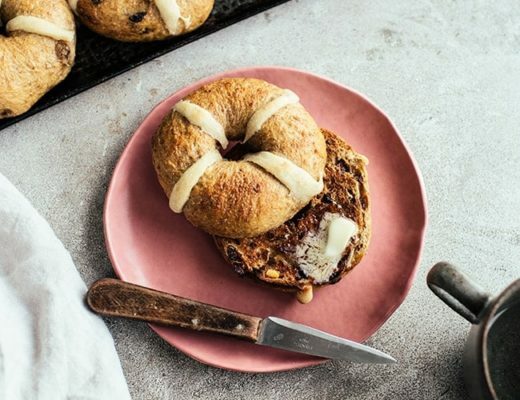 Place them onto a baking tray and put under the grill until just brown around the edges – watch the bread closely, it will take under a minute to slightly brown. Flip the bread over and put under the grill until just browned again. Spread 2 tsp of nut butter on top of each piece of warm toasted bread. 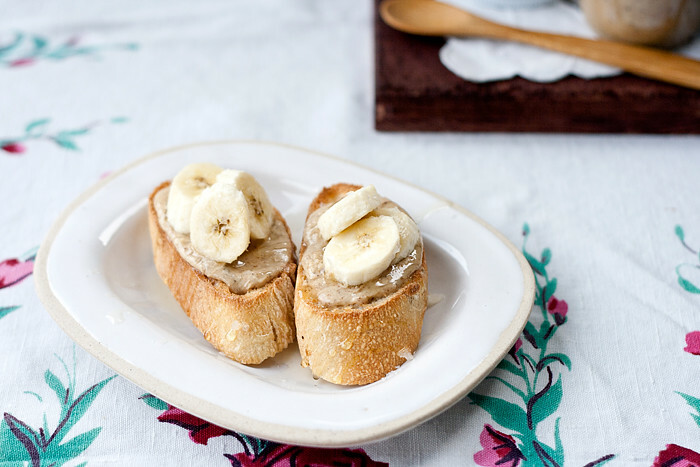 Top with the sliced bananas, drizzle with some honey and sprinkle with the fleur de sel. 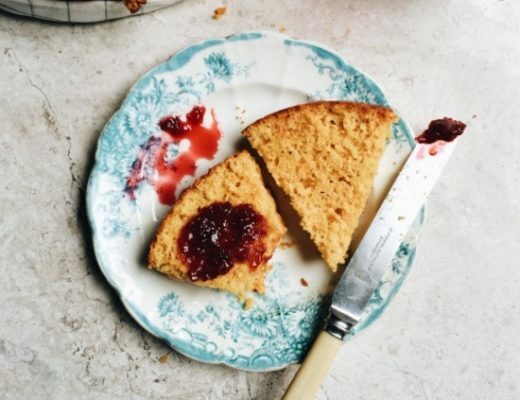 Vegan Variation: replace the honey with maple syrup or agave syrup! mix 1/4 cup lemon or lime juice / vinegar with 1 cup of water, pour over the banana slices, leave for 3 minutes, then drain. **to warm the honey easily, put your container of honey into a small jug or bowl which is filled with boiling water. Leave for a few minutes until the honey is runny. 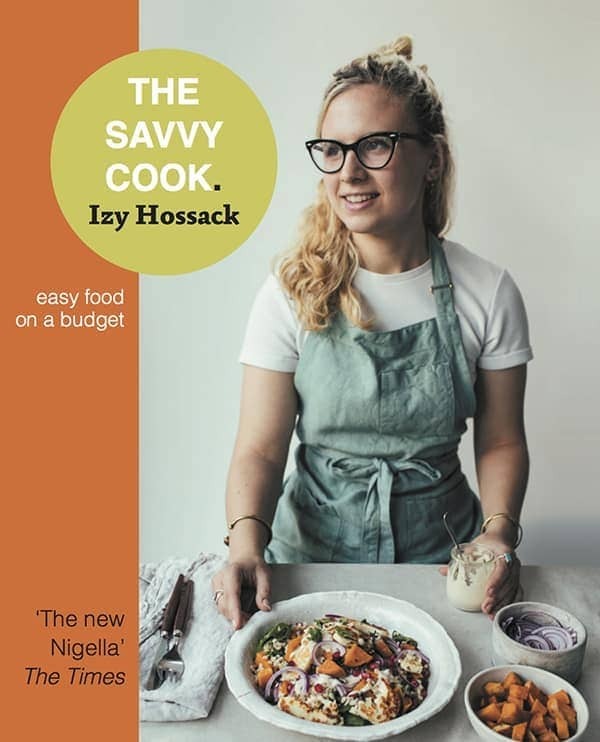 And I love this recipe…(i feed the widgets banana cinnamon toast all the time for breaky) but this is kicking it up another notch. Keep rocking that pafume girl!